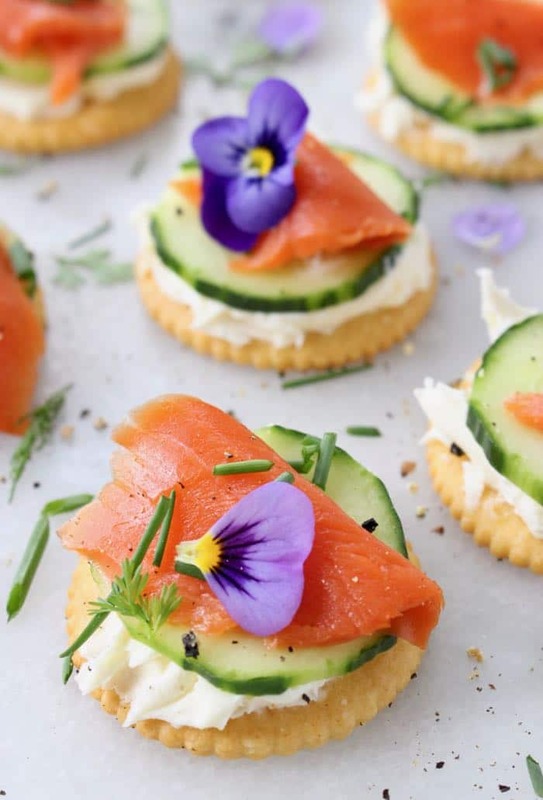 5 ingredients, quick and easy spring appetizers made with crunchy cucumber and smoked salmon on RITZ Crackers, then finished with your favorite fresh herbs. 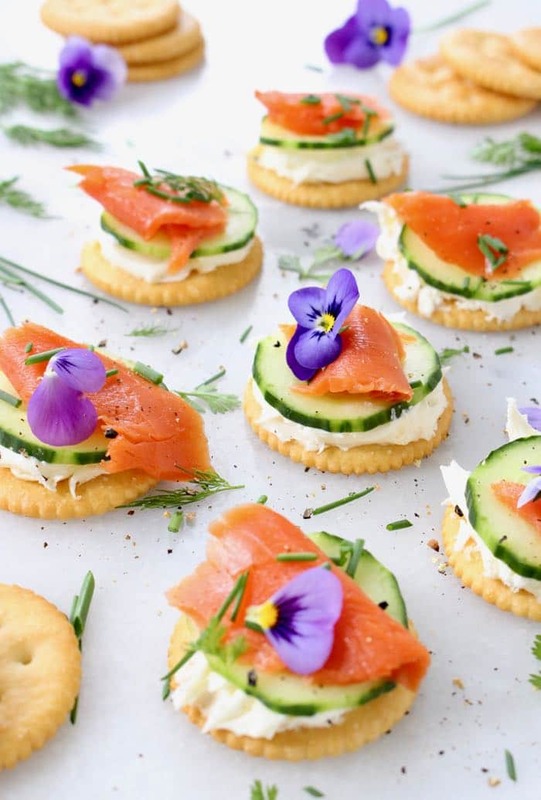 Perfect finger food for Mother’s Day brunch, Easter and endless summer garden parties! Pretty and delicious and super fast to throw together at the last minute. I stopped at Target to pick up the RITZ Crackers and also grabbed a few of their fresh herbs and edible violas to add to my herb garden. 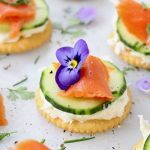 Chives and dill are my go to herbs for these appetizers, but I just couldn’t help making them extra special with a few lovely violas. 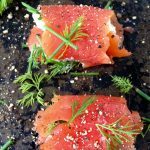 I also used some mascarpone cream cheese but a creamy goat cheese would be just as lovely! Better yet, I’m going to mix and match for the next party! My basil and thyme should be all grown by then so i can get even more creative with all the different herbs. Slice the cucumber Into 1/4 inch slices. 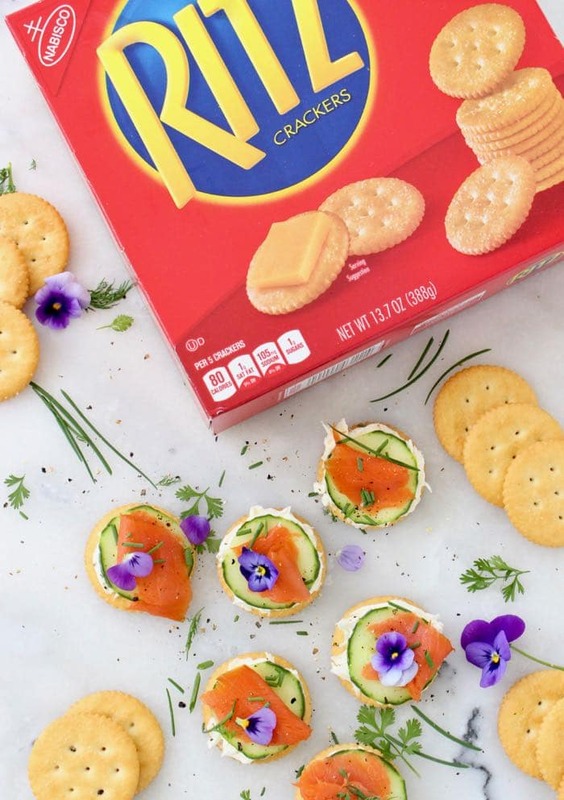 Spread a little mascarpone cream cheese or goat cheese on each cracker. 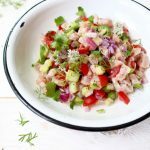 top with a slice of cucumber, a piece of smoked salmon and sprinkle with the chopped fresh herbs. 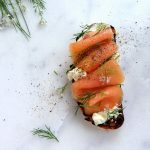 Garnish with edible flowers and freshly cracked black pepper if desired! Thank you so much ! 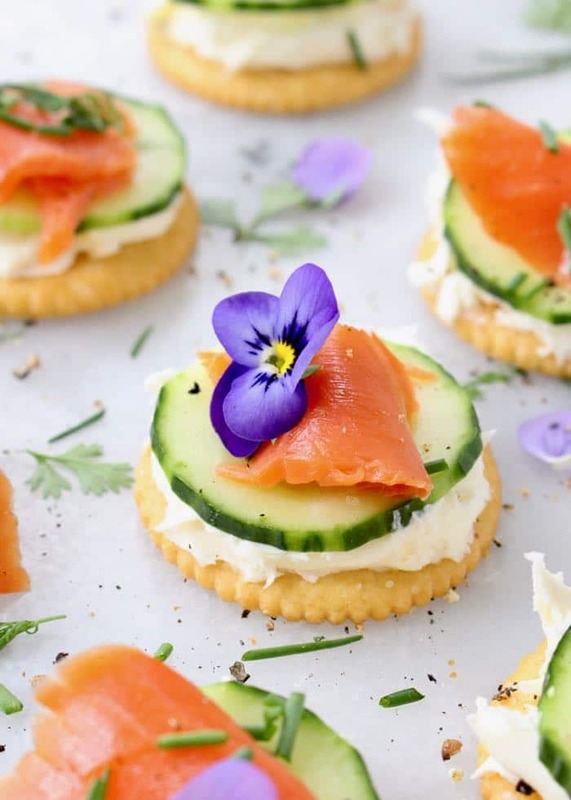 I’m so into edible flowers; it brings the food to a completely new level !